Vibin With Books: My intimidating TBR book tag! My intimidating TBR book tag! Hey guys! It's been a while since I've done a book tag and thought this would be a fun one, since I've come to realize that some books honestly intimidate me. This is the only place where I can confess that and get utter sympathy and understanding in return, since the my family and friends always look at me as if I'm crazy if I say a book intimidates me. THEY JUST DON'T UNDERSTAND. So, without further ado, let's get into it! 1. What book have you been unable to finish? There hasn't been a book where I've picked it up and put it down multiple times. Usually, when I put a book down, it's for good and with no intent to ever pick it up again. 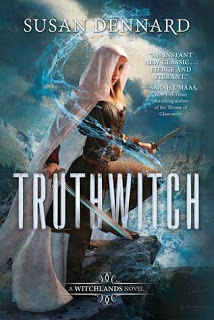 There have actually been quite a few DNF's this year so far, so I'll just randomly throw one out: Truthwitch by Susan Dennard. I have a post on why I DNF'd it, which I'll leave here, but to sum it up: a lack of world-building and a slow plot had me gazing wistfully at other books, and after about a week of staring at it, I finally put it down. 2. What book have you yet to read because you just haven't had the time? Two books come to mind when I think of this question: Reedemed by P.C. and Kristin Cast (which is the final book in The House of Night series) and Toxic by Sara Shephard (the final book in the Pretty Little Liars series). In preparation of the final book in a series, I reread all the books so everything is fresh in my mind. Who the HELL has the time to reread 12+ books in a series?! Granted, they're both older series, so I haven't read them on Goodreads yet and it would count towards my Goodreads challenge... but I have zero interest wasting all that time on one series when I could be reading other books. 3. What book have you yet to read because it's a squeal? Miss Mayhem by Rachel Hawkins. I've heard this isn't a very good equal, so I'm hesitant to pick it up because I adored Rebel Belle. 4. What book have you yet to read because it's brand new? 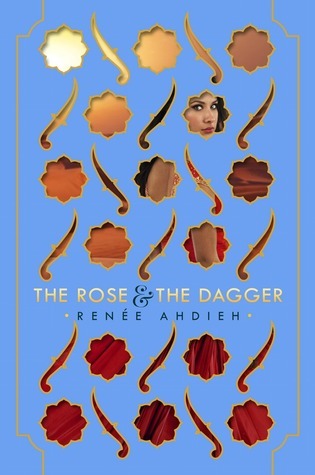 The Rose & The Dagger by Renee Ahdieh! This just came out a couple weeks ago and I haven't gotten the chance to pick it up yet. Hopefully I will soon! 5. What book have you yet to read because you read a book by the same author and didn't enjoy it? I never really have an issue with giving an author a second chance, but I definitely don't plan on picking up The Siren by Kiera Cass anytime soon. As some of you may know, I despise America Singer, the MC in Cass' The Selection series. I've never in my life wanted to punch a character as badly as I wanted to punch America. And even though I enjoyed Eadlyn much more than her mother, she's still so extreme in her personality, so I have a feeling The Siren will feature that cliche female protagonist that I find really annoying. 6. What book have you yet to read because you're just not in the mood for it? Landline by Rainbow Rowell. I only got it because I was in the throes of a Rowell passion after reaidng Fangirl, but once I sat down and actually read the synopsis, I realized this didn't sound interesting to me at all. I've heard good things about it (honestly, I hear good things about all of her books), but I just can't force myself to crack it open. As every reader says, MAYBE ONE DAY. 7. What book have you yet to read because it's humongous? OUTLANDER. Oh my freaking god did that intimidate me. Now, you're probably thinking, "why was that sentence in past tense?" Well, because this girl is currently binge-watching the TV show and is OBSESSED. Honestly, I don't know if I'll ever pick up the book since I'm enjoying the TV show so much. Maybe to read over certain scenes, just to get a more detailed account of them (like maybe the wedding night scene, if we're being honest here). 8. 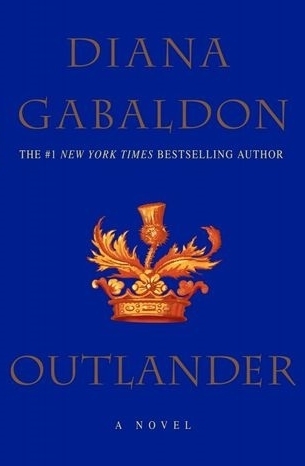 What book have you yet to read because it was a cover buy that turned out to have poor reviews? I don't buy books based solely on their cover. I think that's just a waste of money, because what if it's about something you don't like? If a cover jumps out at me, I'll read the synopsis and then consider it. I'm wayyyyy too poor to cover buy. 9. What's the most intimidating book in your TBR pile? Top favorites from the first half of 2016! May 2016 wrap-up and June TBR!